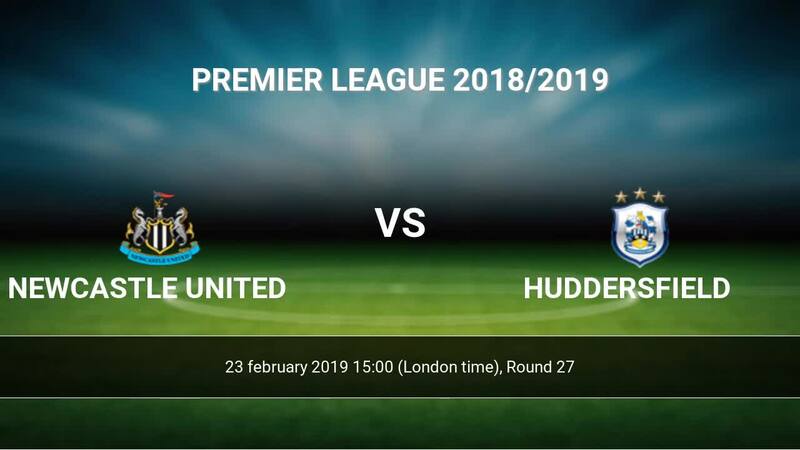 The match Newcastle United-Huddersfield Premier League will start today 15:00. Referee in the match will be Kevin Friend. Team Newcastle United currently is on lower place in table (16 position). Form team looks like this: In the last 5 matches (league + cup) gain 7 points. Newcastle United did not win the match from 2 games. From 2 matches at home no lost a match. Leading players Newcastle United in Premier League is: Jose Salomon Rondon 6 goals, Ayoze Perez 3 goals, Ciaran Clark 3 goals. Players Jose Salomon Rondon 3 assists, Ayoze Perez 1 assists will have to be very well guarded by defenders Huddersfield, because they have the most assists. Team Huddersfield is in the releagtion zone of the table. 20 position. Huddersfield in 5 last matches (league + cup) have collected1 points. Huddersfield from 13 matches can not beat any rival. Players Huddersfield in Premier League with the highest number of goals: Mathias Joergensen 3 goals, Aaron Mooy 2 goals, Philip Billing 2 goals. Players Mathias Joergensen 1 assists will have to be very well guarded by defenders Newcastle United, because they have the most assists. Direct matches: usually ended with winning of Newcastle United. 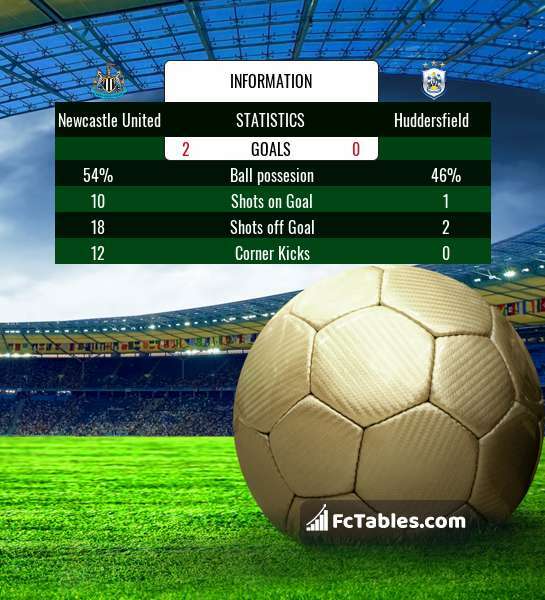 Balace of both teams games are: 5 won Newcastle United, 2 wins Huddersfield, 1 draws. In 4 matches the sum of the goals both teams was greater than 2.5 (Over 2.5). On the other hand, 4 matches teams scored more than 1.5 goals (Over 1.5). In 4 matches the both teams have shot at least one goal.